The JYT-J06-PRO was developed specially for prisons and other large sensitive locations such as military or governmental compounds. This high power system has been approved and installed by Prison Authorities in very large prison facilities in several Countries world wide. Taking use of UHF interference technology, support 3G and long-distance warn. Effective power high, jamming radius is long. 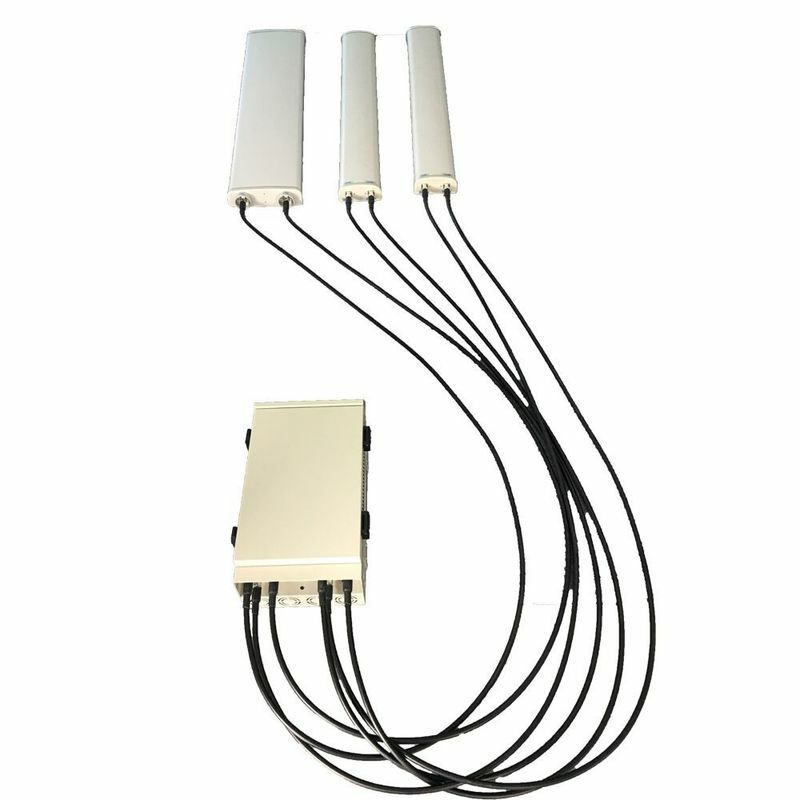 Selection of antennas to provide more flexibility regarding jamming coverage. Special additional housing for all weather protection. 8 Installation: Adherence to the walls by high resistance metal supports. 11 Power regulator: It has power control to adjust the inhibition coverage on the area of ​​interest. 12 Number of transmission modules: 6 transmission modules for a total of 7 output bands.